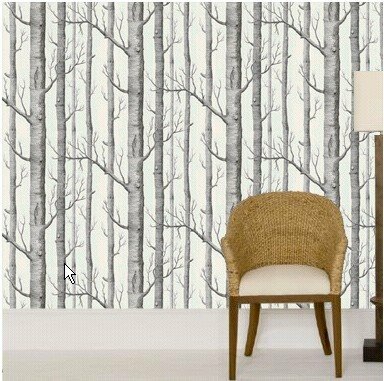 Images of this birch print wallpaper keep appearing throughout the blogs and Pinterest. I do believe it is reaching classic status. 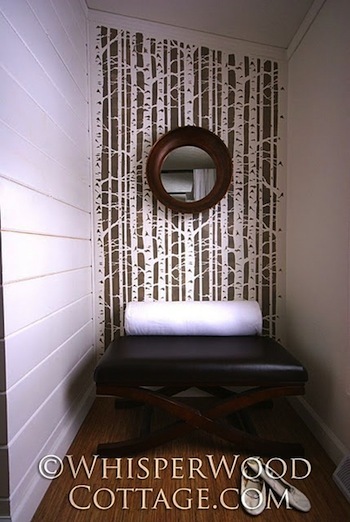 This wall paper pattern has started inspiring both decor projects using it and variations on this theme. First check out the wastebasket upgrade by Benita over on Chez Larsson (one of my favorite blogs - might be my Swedish heritage showing through!). She includes a tutorial so you can upscale using any wallpaper if birch isn't your theme. 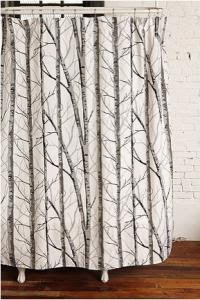 When I first saw the following shower curtain available at Urban Outfitters I thought it was the same pattern. It isn't but there is a strong similarity. 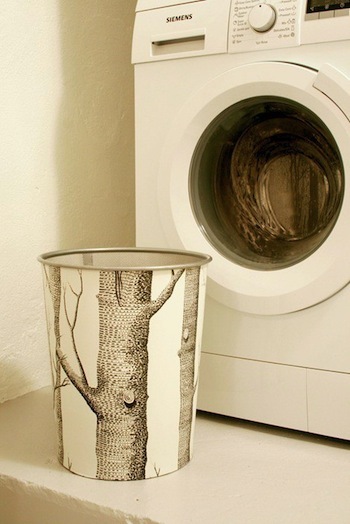 Many are creating ways to create a similar effect on their walls. 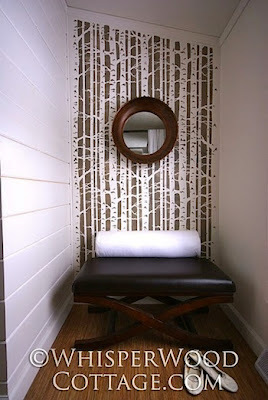 I especially like this stenciled bedroom nook by Whisperwood Cottage. These example show that birch, which traditionally is so rustic and can scream "Adirondack", can also be used successfully in a very contemporary setting.